Medicare members, you may have heard about the many benefits of CGM to ease the burden of living with diabetes and improve Type 1 & 2 diabetes management. We are here and ready to make it easy for you to obtain the diabetes supplies you need, including CGM (Continuous Glucose Monitoring) systems. At Healthy Living, we specialize in diabetes, so our experienced team understands the condition and is well-prepared to serve you. Fingerstick-free blood glucose monitoring with a small glucose sensor worn under the skin and connected to a circular patch, slightly larger than a quarter. Worn on the upper arm with 14-day wear time, allowing user to view blood glucose levels with the swipe of a hand-held reader. More effective disease management and better treatment decisions. 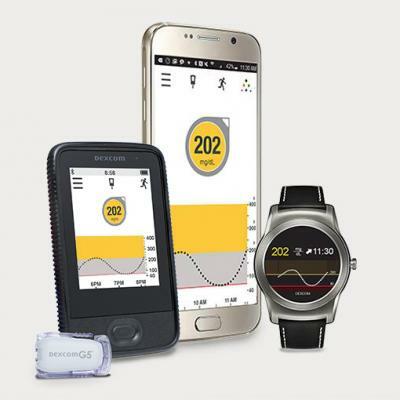 Integrates directly with many iOS and Android devices or the Dexcom G5 Mobile Receiver via Bluetooth technology. 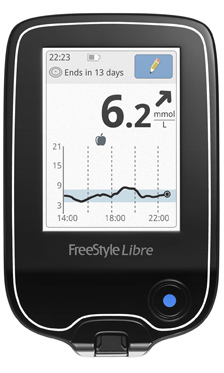 Provides real-time glucose readings and trends to make better treatment decisions throughout the day. Requires minimal fingersticks (two per day). Offers customizable Dexcom audio alerts with mute and vibrate options through the mobile app. Securely shares data for care team access. World-class customer service is now available to Medicare members across the United States for CGM systems. Start the enrollment process now to receive the great customer care you deserve. Read the Medicare Coverage Criteria below to make sure you qualify. Fill out the Get Started Form below, call the Healthy Living CGM Team at 866.779.8512 (option 2), or text us at 248.577.9903. Or, download the Healthy Living enrollment form and take it with you to your doctor’s office - once completed your doctor should fax to 866.779.8512. A Healthy Living CGM Team Member will work with you and your doctor to obtain the additional documentation required. Once all documentation has been submitted to Healthy Living, we will ship your order to your home. Every 6 months following the initial prescription of the CGM, the treating practitioner has an in-person visit with the beneficiary to assess adherence to their CGM regimen and diabetes treatment plan. Fill out the form below and a member of our CGM Therapy Team will contact you to answer questions or begin enrollment. Access our entire blog library with the latest news from the diabetes community and Healthy Living updates here!